Sponsored Content: This video contains paid product placement. Thank you to Healthmate Forever for sponsoring this video and providing Doctor Jo with a free T24AB TENS/EMS Unit to use. 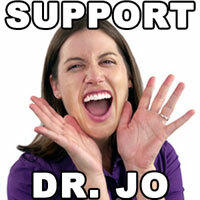 If you purchase a product from these links/ads, Doctor Jo will receive a commission. Click here and use code DRJO to get 10% OFF a Heathmate Forever TENS/EMS Unit! A TENS / EMS Unit can be a great tool for helping to reduce and relieve ankle pain. Here are some pad placements to help relieve different types of ankle pain. Some common ankle injuries that may benefit from a TENS/EMS unit include things like Achilles bursitis, sprains, strains, heel pain, bone spurs, tendonitis, ankle impingement, and general arthritis. Healthmate Forever has a wide variety of TENS/EMS Units and pads. The unit I'm using in this video is the T24AB.